This Perfect Connection Swing Trainer gets your swing connected with your body. 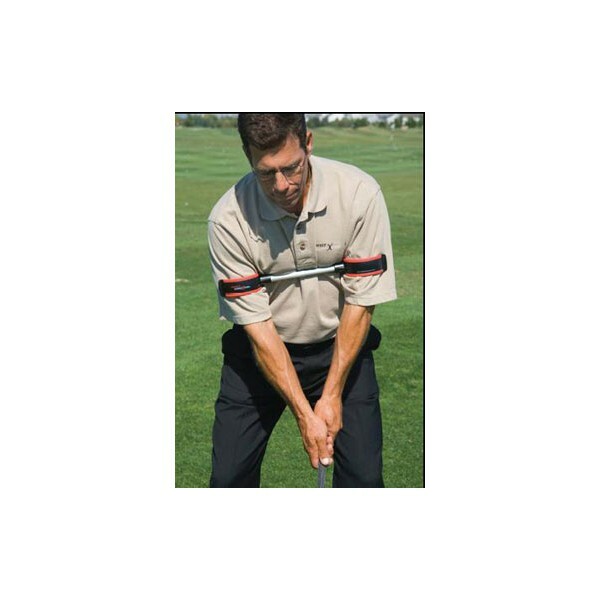 By emphasizing proper connection, correct spinal and joint alignment, and complete concentration on smooth, flowing movement, you become acutely aware of how your swing feels, where it is in space, and how to control its movement. Proper set up is essential, and helps you execute movements with maximum power and efficiency. Last but not least, learning to move properly can reduce stress. With this swing trainer you AUTOMATICALLY form the Power Triangle-the absolute center to every swing in golf (full swing, chip & putt). 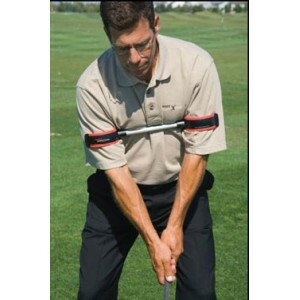 Perfect Connextion swing trainer gives you that physical experience. You learn for yourself by feeling and seeing for yourself what’s right. You speed up learning! The swing trainer drills develop a strong "core," or “Power Triangle” The absolute core to all golf swings. The core consists of the big muscles connected with the small muscles. Control of the core is achieved by connecting the trunk and shoulders while properly engaging the 6 major joints and spine in a proper kinetic sequence. In conventional swings, weak small muscles tend to dominate and strong muscles tend to be left behind. The result is kinetic imbalance - a primary cause of injury, chronic back pain, and swing inconsistencies. This swing trainer conditions the whole body, even the ankles and feet. No muscle group is over trained or under trained. Your entire skeletal anatomy is evenly balanced and conditioned, helping you enjoy golf with greater ease and less chance of injury.